One of the most exciting WTA tournaments of the year, the 2019 WTA Qatar Total Open is set to get underway later today at the Khalifa International Tennis and Squash Complex in Doha, Qatar. This is a Premier event and the winner will be pocketing $158,895 apart from gaining 470 points in the Road to Shenzhen. In spite of this being a Premier event, the tournament will feature a lot of top players competing in it as the players are expected to be paid more. 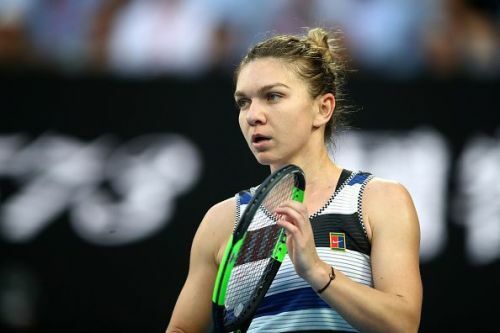 World number 3 Simona Halep, who is the top seed, Karolina Pliskova, Angelique Kerber, Elina Svitolina, Kiki Bertens, Caroline Wozniacki, Anastasija Sevastova, Ashleigh Barty etc. will be a part of the tournament. Australian Open champion Naomi Osaka, USA’s Madison Keys and China’s Wang Qiang withdrew from the tournament while Svitolina and Wozniacki are wildcard entrants. Defending champion and 2019 Australian Open finalist Petra Kvitova, who defeated Garbine Muguruza 3-6, 6-3, 6-4 in the final of the last year’s tournament, will not be taking part this year. While Osaka’s exclusion was a forced one as she suffered a back injury in the build-up to the tournament, Kvitova decided not to defend her title following a busy start to the year. Defending champion: Petra Kvitova (defeated Garbine Muguruza in the last year’s final). However, she won’t be defending her title this year due to her busy schedule. Where to watch the WTA Qatar Open in the USA? Where to watch in the WTA Qatar Open in Australia? beIN Sports will telecast the Qatar Total Open in Australia. ﻿Where to watch the WTA Qatar Open in the United Kingdom? BT Sport will telecast the Qatar Total Open in the UK. Where to watch the WTA Qatar Open in India? No telecast available in India. Where to Live Stream the Qatar Total Open? ﻿Worldwide Live Streaming: WTA’s official website via WTA TV. However, you will need a subscription for the service.